...an Afternoon Hike to the Waterfall. That's the Base Camp way, way below the line of hikers. 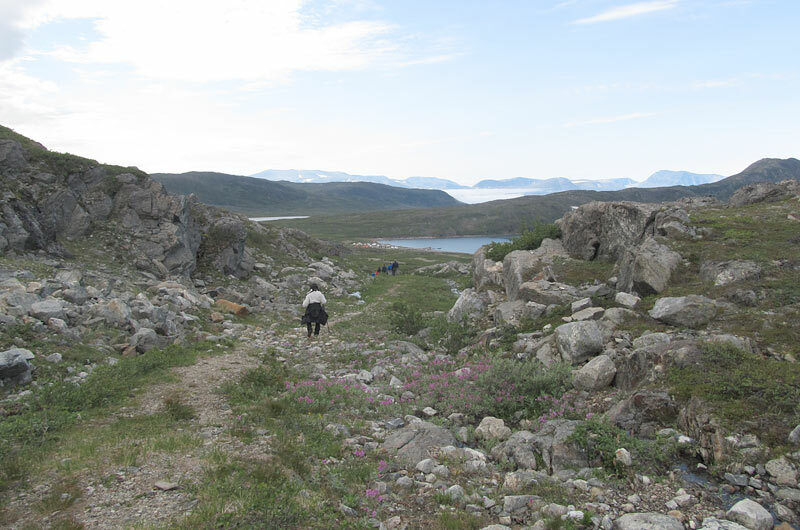 At the Torngat Mountains Base Camp in northern Labrador, Canada, one of our first activities helped us put a sense of scale and proportion to what we were experiencing. It was an afternoon hike up the hillside near the Base Camp to a beautiful mountain waterfall. We saw Harlequin ducks, River Beauty flowers and the magnificent view of the islands we'll be exploring.